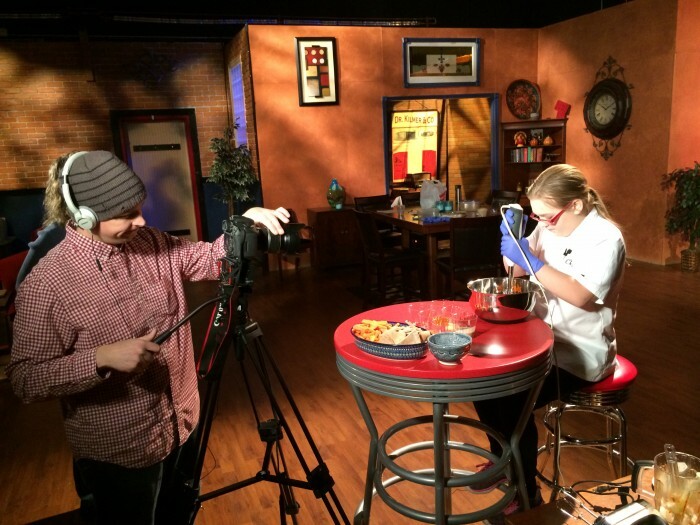 Chef Julia prepares a carrot hummus recipe in WSKG Studios. Julia Rissberger has been active in the kitchen since she was a toddler. Her parents, recognizing this interest in cooking, have been encouraging Julia throughout her twelve years of life! Julia’s hard work paid off when she was selected as the New York State winner in the 2015 Healthy Lunchtime Challenge & Kids’ State Dinner. Julia’s recipe for Spinach and Apple Salad with Blueberry Vinaigrette and Whole-Wheat Cheese Pennies was selected from more than 1,000 entries. 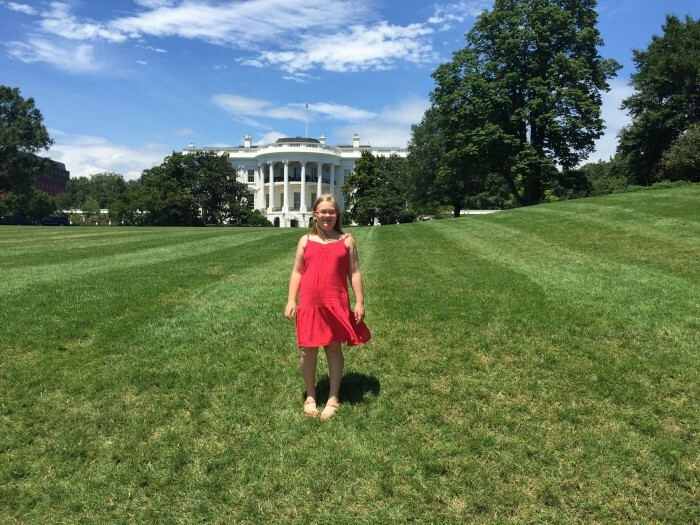 In July 2015, Julia and mom Rachel went to Washington, D.C. where they met other Healthy Lunchtime Challenge Winners, toured the White House, and enjoyed a Kids’ State Dinner with the President and First Lady. by sharing her passion for creating healthy snacks and meals with her peers. By educating others and modeling simple, DIY approaches to nutrition, Julia has become a role model. For this, she is recognized as a local American Graduate Champion. Want more Chef Julia recipes? Check out her original ‘BirdFood‘ concoction and ‘Charred Carrot Hummus‘ made in partnership with Chef Jim Perillo, Executive Chef of The Otesaga Resort Hotel. The Healthy Lunchtime Challenge is a partnership between First Lady Michelle Obama, WGBH Boston, the U.S. Department of Education, and the U.S. Department of Agriculture. Feeling inspired? Check out the Fitness & Food section of the PBS Parents website. Here you’ll find articles, recipes, videos, and more — all to help families move and make together! Top Photo Credit: Julia presents to an auditorium full of peers in Oneonta, NY. Photo by Ian Austin.